Over the past number of months, our two companies have been working hard to find a basis on which we could merge and realize their combined strengths. While we were hopeful that we could achieve that goal, it has become evident to us over the past several weeks that the type of constructive, mutually respectful and partnership-oriented relationship necessary to realize the potential benefits of that combination does not yet exist. Our Board has met a number of times since we were twice told definitively last Thursday by your Co-Chairman that the process in which we had been engaged to find a basis to merge our two companies was “dead”. As you would expect, that unilateral declaration made us question whether we actually shared the vision and values that are necessary to forge a successful new company. Notwithstanding that, we persevered. Nuestra junta de accionistas se han reunido muchas veces desde que el pasado Jueves el vicepresidente de Barrick comunico que el proceso en el cual estábamos comprometidos para encontrar un punto de fusión entre las dos compañías “estaba agotado” definitivamente- Como Uds. pueden entender esta declaración unilateral nos lleva a preguntarnos si realmente compartimos la visión y valores que son necesarios para forjar una compañía exitosa. A pesar de esto nosotros perseveremos. While our team has found your management team’s engagement to be constructive and professional, the same constructive nature cannot be said of our discussions with your Co-Chairman on certain fundamental strategic and structural issues over the past two weeks. Our efforts to find consensus have been rejected out of hand repeatedly. And, as we contemplated further dialogue, we read in the continuing reporting of the transaction in the financial press a pointed characterization of our company as “extremely bureaucratic and not shareholder-friendly.” Nothing could be further from the truth. Moreover, none of this suggests that we have the mutual respect or shared values today that we believe are necessary for the enterprise that would result from the combination of our companies to realize its full potential. 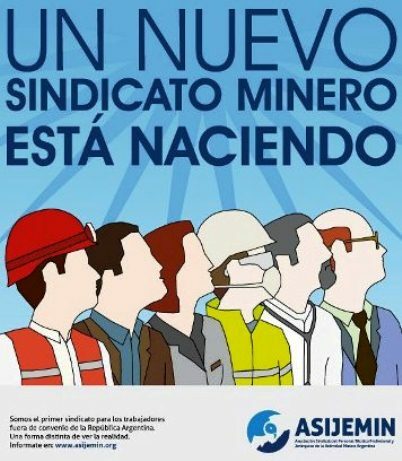 Mientras nuestro equipo ha mostrado a vuestros ejecutivos que nuestro compromiso es ser constructivo y profesional, no podemos decir que vuestro vicepresidente haya mostrado la misma naturaleza constructiva en ciertas estrategias fundamentales y asuntos estructurales en las pasados dos semanas. Nuestra intención en encontrar consenso ha sido rechazada de plano de forma repetida aunque nosotros consideramos seguir dialogando, pero leemos en el reporte de la transacción publicado en la prensa financiera una caracterización puntual de nuestra compañía como: “extremadamente burocrática y no amigable con los accionistas”. Nada más alejado a la verdad. It is, in fact, because of our deep commitment to our shareholders that we reluctantly have had to unanimously conclude that we need to put aside our attempts to resuscitate this initiative and should pursue our course as an independent company. Founded in 1921 and publicly traded since 1925, Newmont is a leading producer of gold and copper. Headquartered in Colorado, the Company has approximately 32,000 employees and contractors, with the majority working at managed operations in the United States, Australia, New Zealand, Peru, Indonesia and Ghana. Newmont is the only gold company listed in the S&P 500 index and in 2007 became the first gold company selected to be part of the Dow Jones Sustainability World Index. Newmont is an industry leader in value creation, supported by its leading technical, environmental, and health and safety performance.